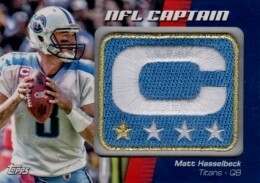 For the past few years, Topps has been adding value to many of their blaster boxes with exclusive manufactured patch cards. 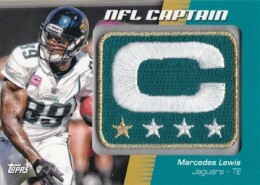 2012 Topps Football continues the trend. 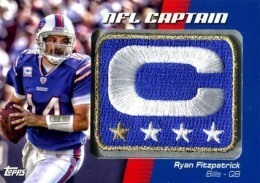 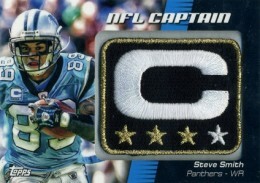 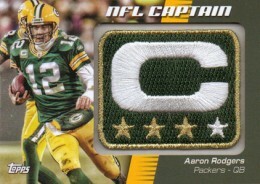 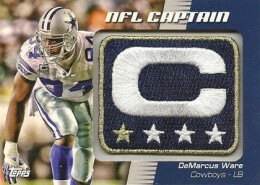 2012 Topps Football NFL Captain Patch Relic Cards come packaged with 11 packs in retail blasters. 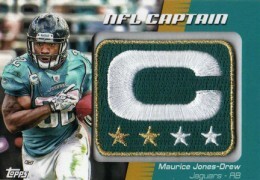 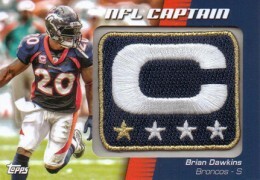 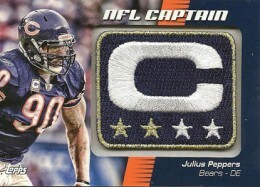 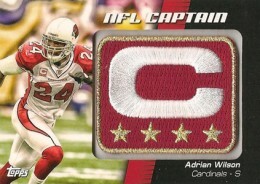 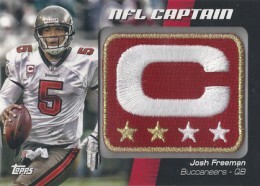 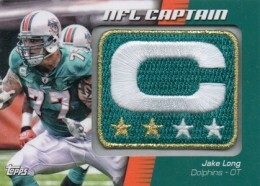 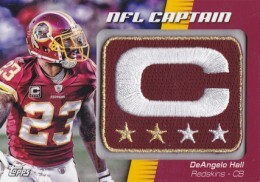 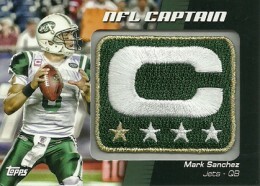 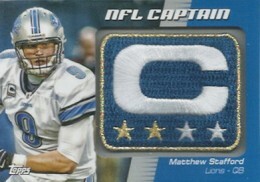 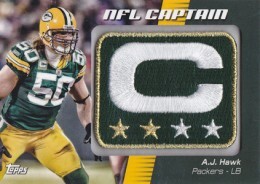 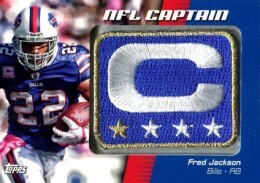 The cards focus on the league's captains with a horizontal design. 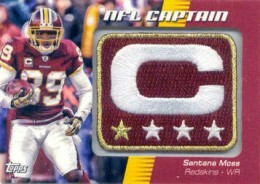 On the left side is a player photo. 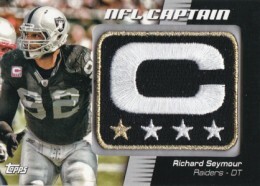 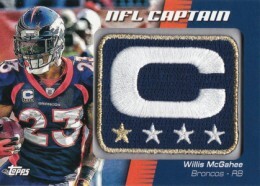 However, much of the card space is dedicated to the captain patch. 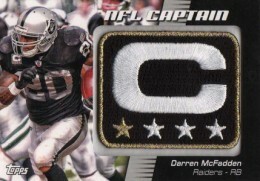 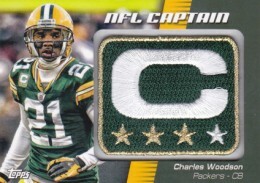 There are four different patch designs that are based on the number of years the featured player has been a captain. 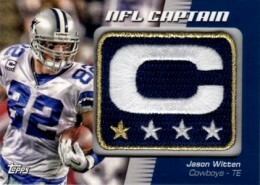 Every star represents a year served. 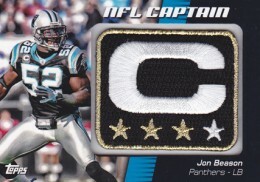 Those with four or more years experience have all four stars noted. 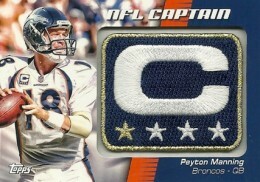 Patches match team colors. 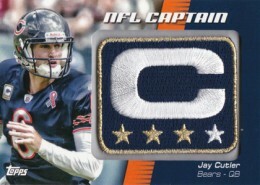 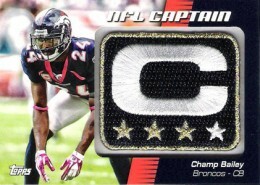 2012 Topps Football NFL Captain Patch Relic Cards also have a Pink parallel. 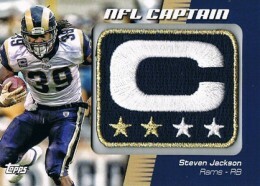 These cards all have a pink patch and are serial numbered to 99. 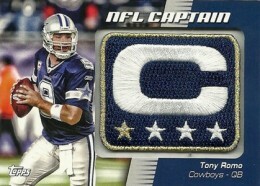 Click on names to shop for individual cards on eBay. 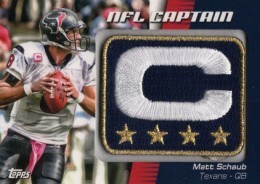 MATT SCHAUB 2012 TOPPS CAPTAINS MANUFACTURED PATCH HOUSTON TEXANS INSERT CARD!!! 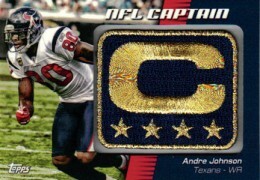 I am interested in purchasing a couple of Houston Texans Captain patches. 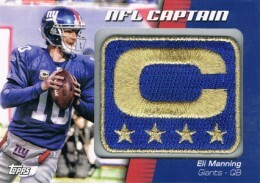 Are these the same patches as worn on the orginal game jerseys? 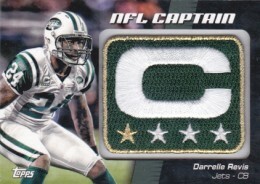 Byron � The patches on these cards are not from a game. 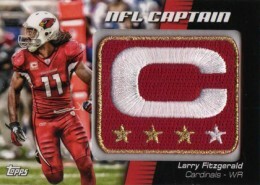 They were made by Topps specifically for the cards. 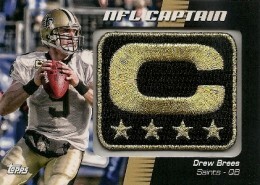 2012 Topps Football Factory Sealed (2) Blaster Box Lot LUCK WILSON COUSINS RC'S?